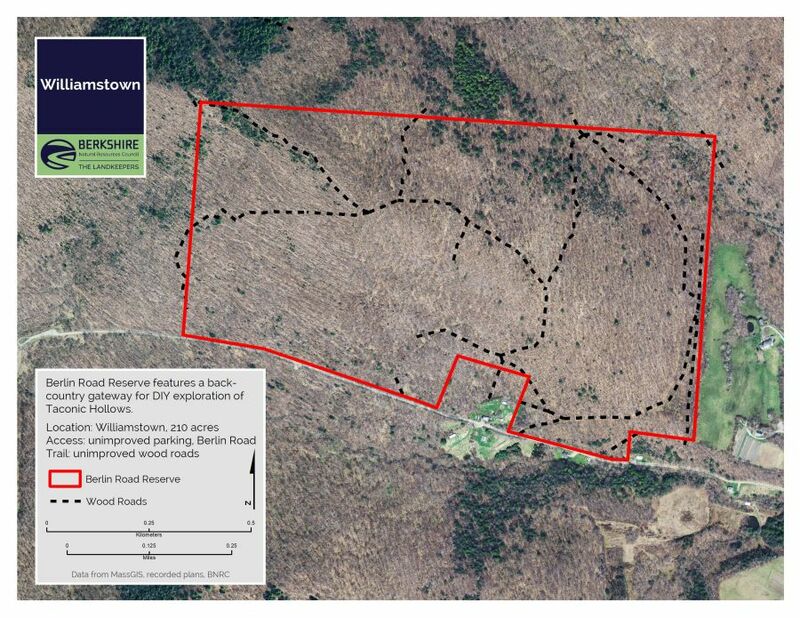 A ridgeline property on the eastern slopes of the Taconic Range, this tract abuts the Taconic Trail State Forest. Its unmarked wood roads lead deep into the hollows to the north. Outstanding starting point for exploration for hikers, snowshoers and backcountry skiiers with map, compass and GPS skills. From the intersection of Route 2 west and Route 7 in Williamstown: west on Route 2 for 0.3 miles to a left on Torrey Woods Road. In 0.4 miles, bear right at intersection with Berlin Road. 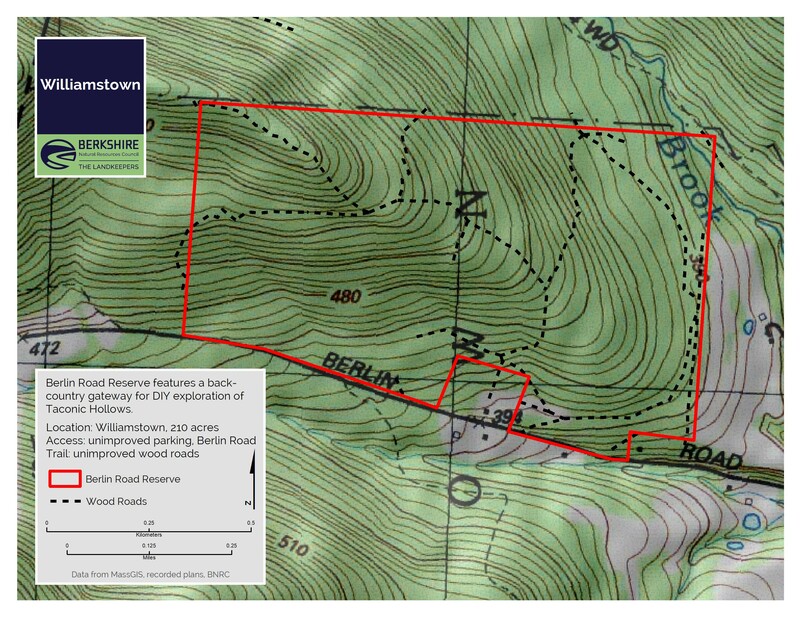 Follow Berlin Road for 1.3 miles to the unmarked pull-off on right. Or continue farther west on Berlin Road to the trailhead for the Class of ’33 trail. 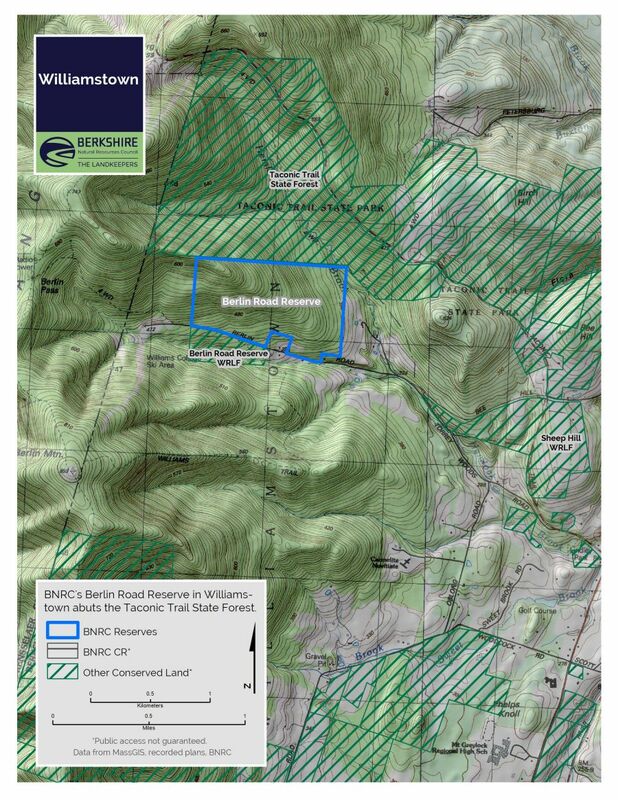 This is the planned jumping off point for a proposed ridgeline trail intersecting with the Taconic Crest Trail north of Berlin Road, as well as the Sarah Tenney Trail – part of a larger vision for this beautiful bowl straddling the NY/MA state line. For now, you’re free to explore the hollows and ridgeline on your own.